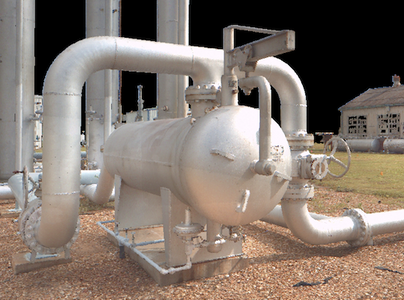 TruePoint Laser Scanning is experienced in providing 3D laser scanning services in oil and gas applications to produce reliable, high quality data that can be used across your organization. We have experience scanning refineries, process areas and distribution facilities all over the United States. We can high definition laser scan the interior and exterior of buildings; structural, mechanical, electrical and plumbing features; equipment and piping down to ½ inch diameter; and any other site topography and features. 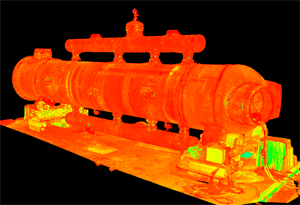 Laser Scanning is SAF – Safe, Accurate and Fast. 3D laser scanning allows TruePoint to provide clients with precise data in a short amount of time. Our scan technicians accurately and efficiently capture data in locations where accessibility is difficult and areas are unsafe. The smallest details can be captured in highly congested areas. 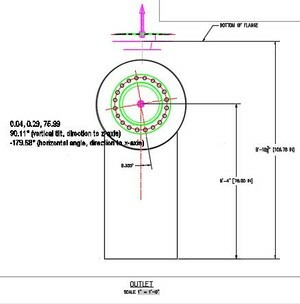 The inside of tanks and containment dykes can be laser scanned for volume calculations and deformation analysis. 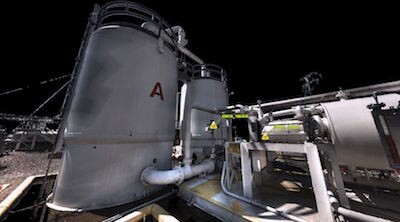 Laser scanning provides more information than tank strapping. 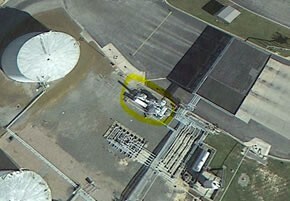 TruePoint can provide reliable, accurate as-built information for facility upgrades and expansions. 3D laser scanning can aid in design, construction sequencing and scheduling, clash detection or pre-fabrication, plus reduce site revisits due to missed measurements, schedule delays and change orders. All of TruePoint’s scan technicians have a minimum of OSHA-10 training to ensure they understand safe practices while on-site and how to minimize potential dangers associated with these types of facilities. Laser scanning is a great facility documentation and management tool with benefits that can be realized many times throughout the life of a facility. Our scan technicians, engineers and CAD designers work together to help you control costs and complete projects on time and within budget. We have an excellent safety record, and have never had a loss work day due to injury. Contact TruePoint Laser Scanning today at 419-843-SCAN (7226) or email us at info@truepointscanning.com for more information about laser scanning services for oil and gas applications.